We have finished My Father’s World Kindergarten! We actually finished a few weeks ago. I am so thrilled that we made it through our first official year of homeschooling with such a sweet curriculum as My Farther’s World. 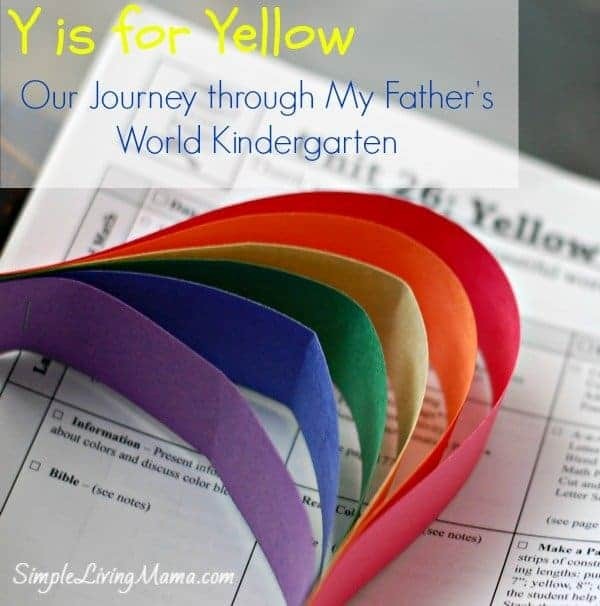 Today I want to show you what we did in the very last unit, Y is for Yellow-My Father’s World Kindergarten. We had so much fun learning about how “God made the world beautiful.” We learned all about colors! 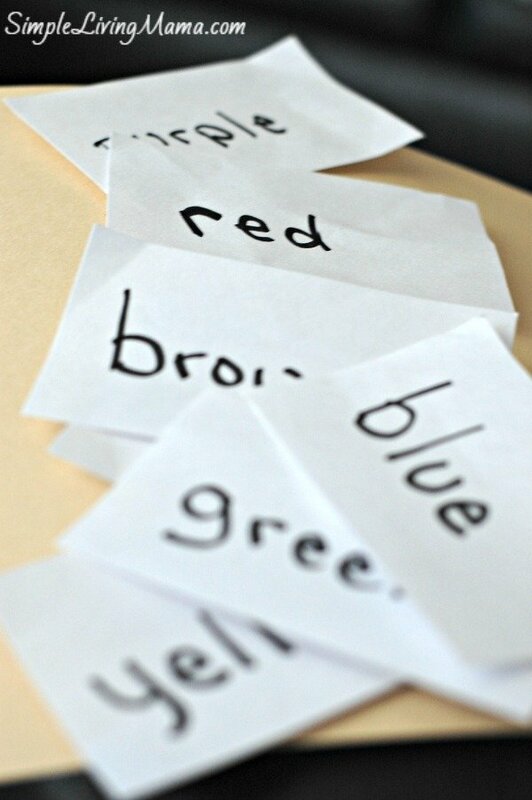 The first activity I did was make simple color word flash cards. We practiced reading these words several times. We also made a cute little construction paper rainbow. 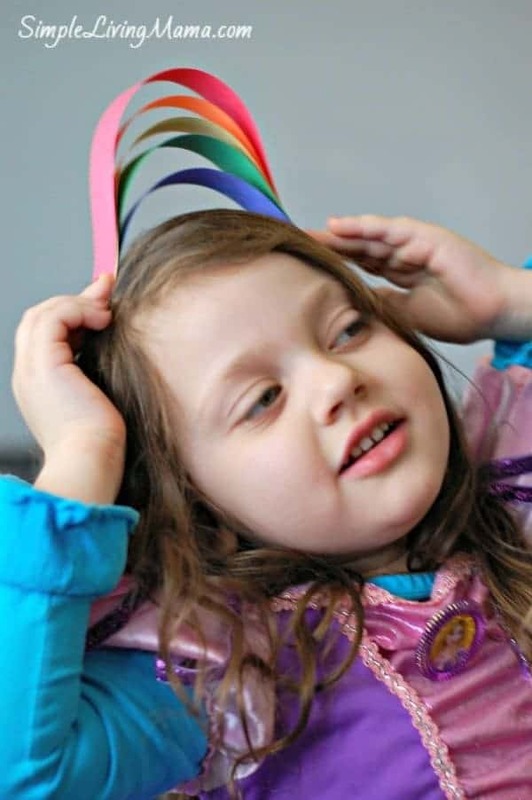 Sis thought hers made a great crown. With spring here, we have been spending lots and lots of time outside. 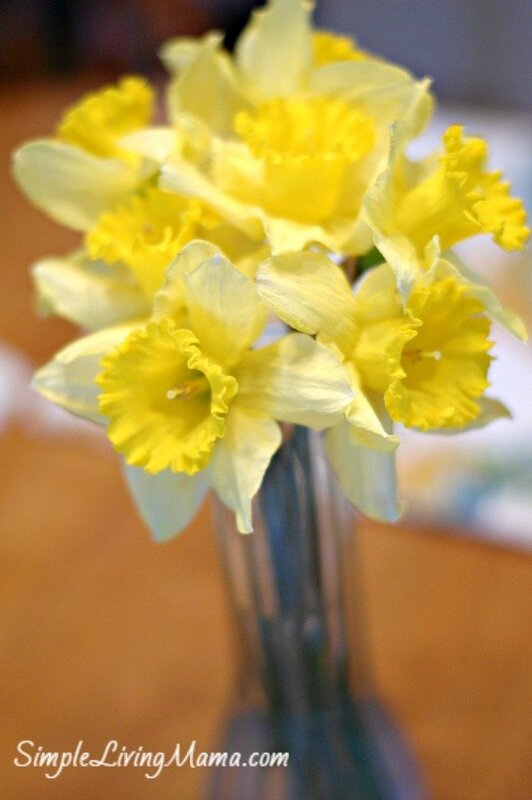 We of course had to pick some gorgeous daffodils for our table. 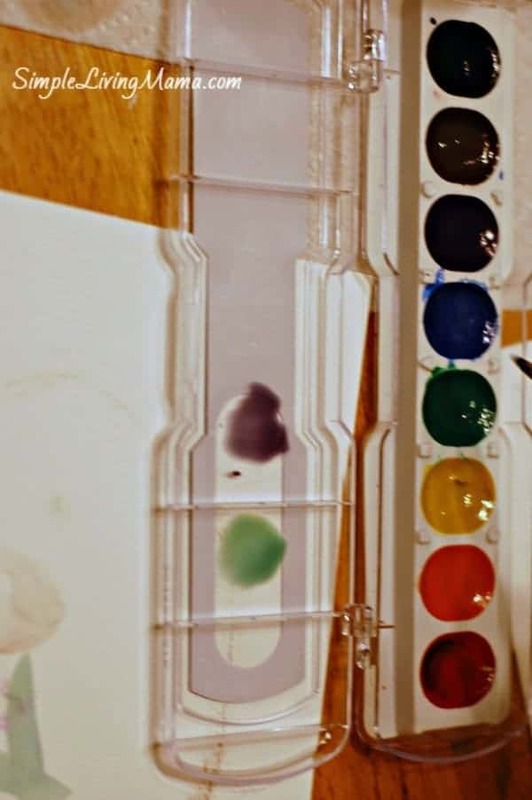 We learned about color mixing, which coincided with our ARTistic Pursuits curriculum. And we read, “Brown Bear, Brown Bear, What do You See?” That is a story I’ve been reading my kids for years. They pretty much know it by heart, and had a lot of fun reading it back to me! I had to take a picture of Bug with our completed badge wall, although now I see I need more light to get a better picture. We had so much fun with this curriculum. 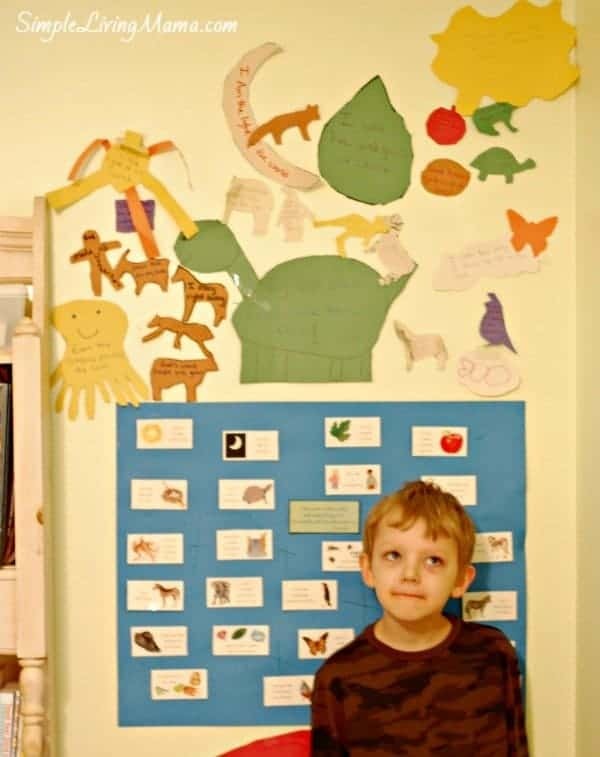 We are keeping up with practicing and using some of the workbooks I wrote about in our supplements for MFW K post. Coming up I plan to do a full review of MFW K. I’m also planning to show you how we are getting organized for MFW 1st. My plan is to start it in August. 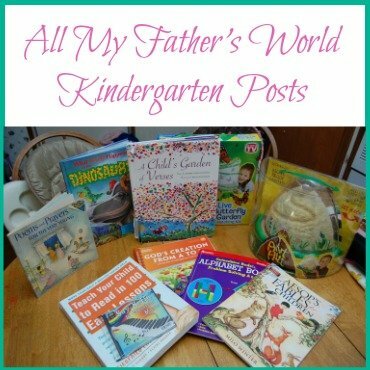 We are gearing up for another great year with My Father’s World and I’m excited to share all of our plans with you! Don’t forget to check out all of our MFW K posts!